After her controversial divorce from her reportedly abusive husband Bo Galanti, Lyssa has finally moved on with her life. Amidst rumors of her being a lesbian, she has not been linked with any man so far and her fans are going crazy over to find out the truth. If you want to know what Lyssa is up to these days, then you've landed at the right place. 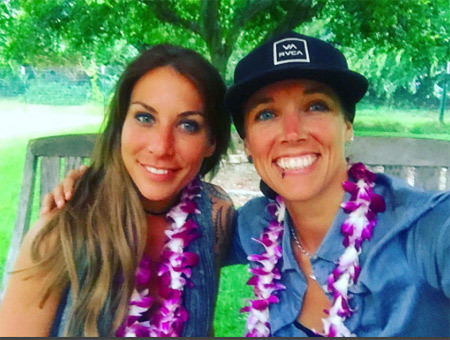 Once rumored to be lesbian, Lyssa Chapman dating her mysterious girlfriend! The ninth child of famous bounty hunter Duan Chapman and of mother Lyssa Rae Brittain, Lyssa Chapman has finally come out of the closet! Although she has not confessed publicly about her sexuality, her Instagram posts tell us everything we need to know. Lyssa and her partner Leiana. She's currently dating her gorgeous girlfriend named Leiana and looking at her Instagram posts, the couple seems madly in love and spends a lot of time together going on romantic vacations in beaches. Don't believe us? See for yourself. Her partner Leiana is a physical fitness trainer and she loves going on adventures, hiking and exploring. She's also a professional Scuba Diver. Well, this is big news for all of Lyssa's fans but despite everything, we would like to congratulate this awesome couple and hope they make it official soon! Dog The Bounty Hunter's 'Baby Lyssa' is preparing to get married to girlfriend Leiana Evensen soon. Earlier in March 2019, she shared a photo with her soon-to-be in-laws hinting that her marriage is approaching soon. 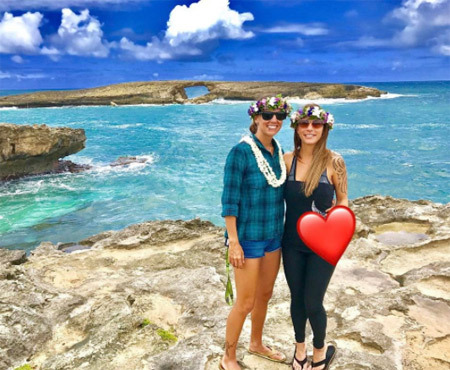 The pair recently shared an Instagram image where the two share a passionate kiss during a vacation at Waimanalo Bay State Recreation Area. Lyssa who is also a former bail bondswoman starring in her father Duane Chapman's show Dog the Bounty Hunter suffered severe physical and emotional violence during her married life. 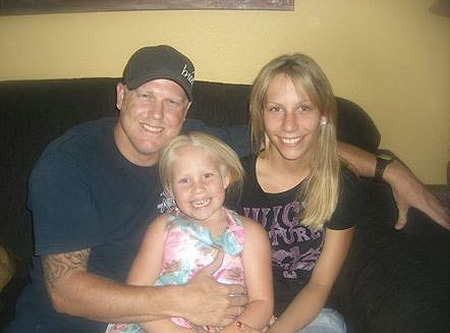 Lyssa Chapman with her daughter Madalynn Grace and father Duane Chapman. She tied knots happily with Brahman Galanti, famous as Bo Galanti on February 20, 2009, organizing a lavish wedding in Oahu, Hawaii. 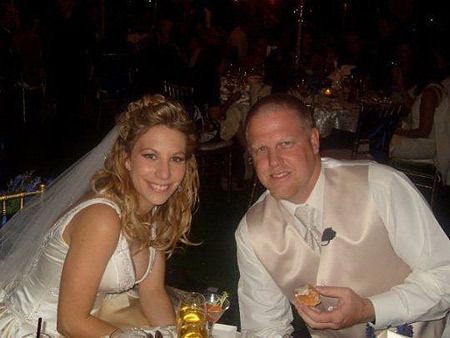 Lyssa Chapman with her ex-husband Bo Galanti on their wedding day. They welcomed their daughter Madalynn Grace on August 7, 2009. Lyssa already has a daughter from her previous relationship when she was just 15, daughter named Abbie Mae. Her boyfriend at that time was 24 years old and was arrested for sexually abusing a minor. Bo Galanti with Lyssa and daughter Abby. However, the pair's clock turned to bad timing and in 2011, Lyssa filed for divorce from her husband accusing him of physical and mental abuse which was finalized the same year. Born and raised in Denver, Colorado Lyssa Chapman is a famous American businesswoman and former bail bondswoman and bounty hunter. 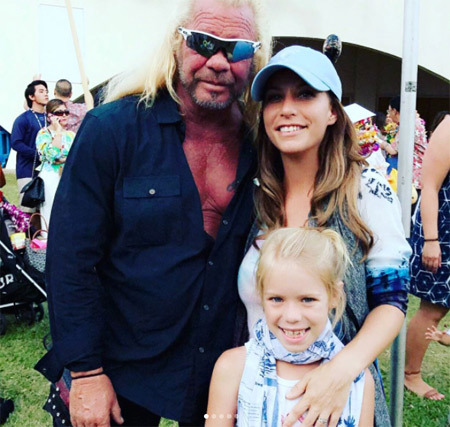 Her father is famous bounty hunter Duane Chapman. She was raised by her mother and later on by father with whom she started appearing on the reality show, Dog The Bounty Hunter. She left the show back in 2013 and no longer works with her father. In 2011, she was arrested for vandalizing property and assaulting an on-duty police officer. She was once married to Bo Galanti with whom she has a daughter. For more updates follow our page!!!!!!!!! !